Sometimes I do say yes when people invite me to travel somewhere. 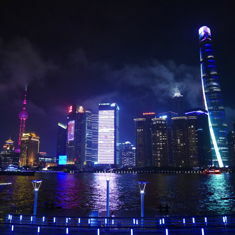 Suzhou is one of my favourite places to visit in China so when officemates were planning a day trip I said count me in. Of course I almost backed out after suffering through a horrifically stressful week where I literally moved out of my apartment rather than tolerate the French couple for one more night. One thing I’ve learned while living abroad is some people can be such assholes that an entire nation of people can have their reputations lowered, just ask my Chinese roommates what they think of the French and Italians we have been forced to live with. I will of course try to find my own place but what I really need is a new, significantly better job. I of course have begun applying to jobs everyday since writing the Level 2 CFA® exam again. I will have to wait a little longer for my score, until July 26th according to the recent official email. I really do want to pass the exam but my optimism is tempered due to not quite getting the scores on practice exams I would have liked which is consistently over 70%, supposedly the official pass score is in the 60s but that is “Internet expert” speculation. I am confident I can pass if I can ever get all the other problems in my life sorted out. 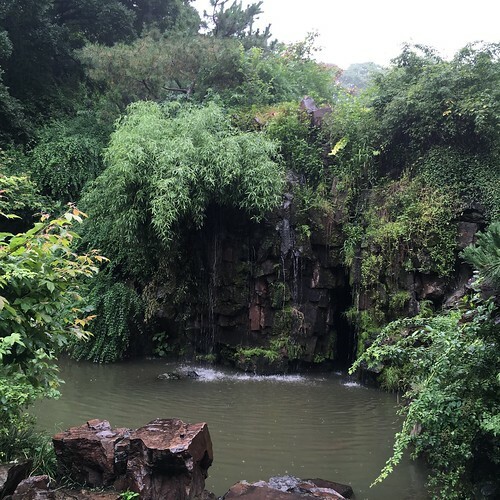 Suzhou is a lot less hectic than Shanghai. It is full of gardens and alleys. 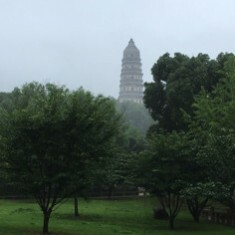 We went to Tiger Hill Pagoda but mostly we walked around in the rain. Eventually we went to Pingjiang Road and after getting my bearings I found the pub I drank at last time and had a glass of beer. I even got yet another photo for the #catsontap folks. So this is a brief update to my blog to let people know that I continue to survive and although I’m far from thriving, my willingness to just give up and go home has abated. I have too many job applications I’m optimistic about and a plane ticket to Japan. I also plan to lose more weight if I can ever reduce the level of stress in my life to a manageable level. I bought fancy Chinese weightlifting shoes but I fear they are definitely the wrong size. I always questioned buying shoes on the Internet especially when you can’t return them, at the very least they are fancy paperweights. They might actually help my hips but I fear nothing will ever fix my back or knees. Oh well I think I’m well enough to lose a few more kilos and take selfies for the #fitfam. I have plans for additional blog postings and I started making changes to the code that powers parts of this website but as always stuff that is supposed to just work, did not. 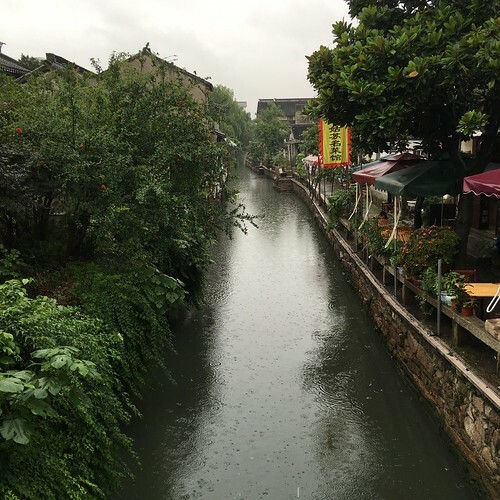 I did buy an iPhone SE I’m not sure if a rainy day in Suzhou is the definitive test of whether it is better than the iPhone 5s but it definitely has a longer lasting battery and the hard drive has more space for apps, songs, and photos. If only I could find a good job and one of these legendary Chinese girlfriends I could really enjoy the couple weeks I have before I have to start studying for the CFA exam again. 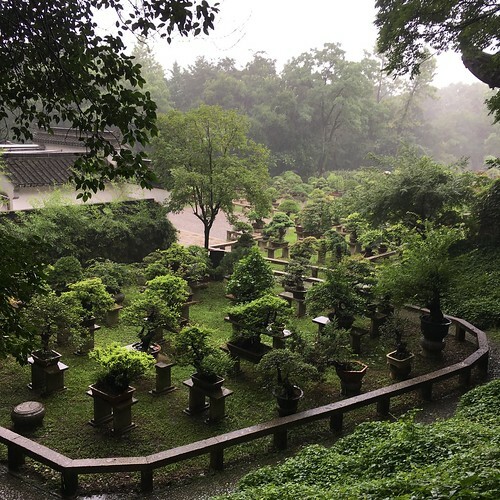 This entry was originaly posted on June 28th, 2016 , it was last edited on January 27th, 2019 and is filed under: Asia and tagged: China, Photos, Suzhou, Tiger Hill Pagoda, Travel.